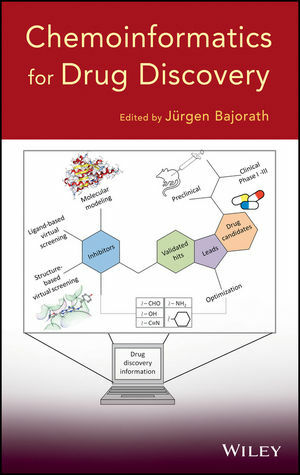 With contributions from leading researchers in academia and the pharmaceutical industry as well as experts from the software industry, this book explains how chemoinformatics enhances drug discovery and pharmaceutical research efforts, describing what works and what doesn't. Strong emphasis is put on tested and proven practical applications, with plenty of case studies detailing the development and implementation of chemoinformatics methods to support successful drug discovery efforts. Many of these case studies depict groundbreaking collaborations between academia and the pharmaceutical industry. Throughout the book, the authors present chemoinformatics strategies and methods that have been proven to work in pharmaceutical research, offering insights culled from their own investigations. Each chapter is extensively referenced with citations to original research reports and reviews. Integrating chemistry, computer science, and drug discovery, Chemoinformatics for Drug Discovery encapsulates the field as it stands today and opens the door to further advances. JÜRGEN BAJORATH, PhD, is Chair of Life Science Informatics at the University of Bonn and also an Affiliate Professor in the Department of Biological Structure at the University of Washington. In addition, he has more than 10 years' experience in drug disovery. His research focuses on the development of computational methods for medicinal chemistry and chemical biology. Dr. Bajorath holds 26 patents, has authored more than 400 scientific articles, and edited four books.